Family Martial Arts Center is located in Brookfield, CT and just minutes away from Danbury or Bethel. Learn about our Teen and Adult Martial Arts Program. 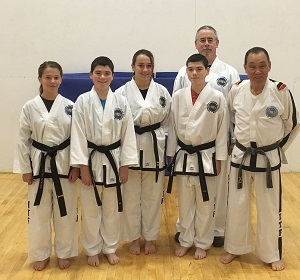 Family Martial Arts Center has been providing Martial Arts in the Danbury CT area for years. Our Teen and Adult program combines traditional taekwondo and self-defense (including skills from karate, judo, mauy thai) into one well-rounded program. Our Teen/Adult program not only teaches students traditional TaeKwon-Do techniques, history, patterns, sparring, and self-defense, it offers a safe environment for stress management, fitness, and friendship. This will be a life-changing experience! Get into great shape as you learn to defend yourself , build confidence as you reach goals, and challenge yourself to be the best you can be. You will always leave Family Martial Arts Center feeling positive. Self-Defense training offers the hands on instruction needed to properly protect yourself in all situations. Developing the skills needed to guard yourself is key to traveling while feel safe. Our Martial Arts Instructors combine both self-defense training and traditional Taekwondo into one well-rounded program. 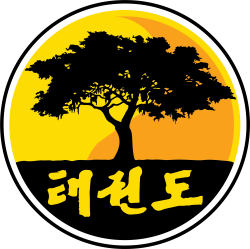 If you're looking for TaeKwon-Do in Danbury, Bethel or Brookfield, then you've found the right place. Our hands-on taekwondo instruction prepares our students for anything they might encounter. Traditional taekwondo techniques will not only help you defend yourself, but allow you to develop confidence as you reach new ranks and goals. For more information about our Martial Arts Programs give us a call today at (203) 441-0808 or fill out the form below.